Summer is upon us. For all of us this means more time in the sun, but for some of our kids this means time for surgery. Summer provides ample time to recover without missing any school. 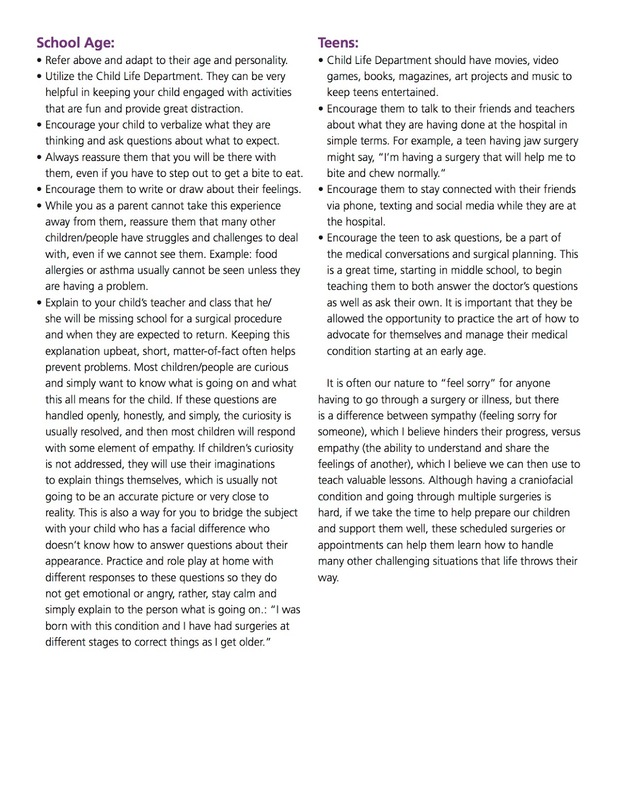 This time of year is a great time for families to review one of CCA's new overviews called "Talking To Your Child About Upcoming Surgery" You can also view images of the document below. 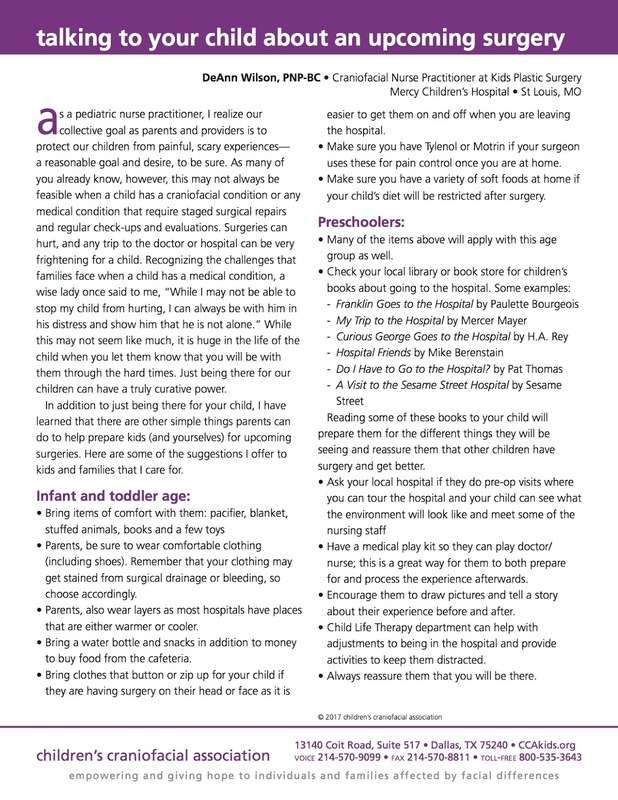 Additional overviews on craniofacial conditions and other useful medical information can be found at the CCA Kids website. 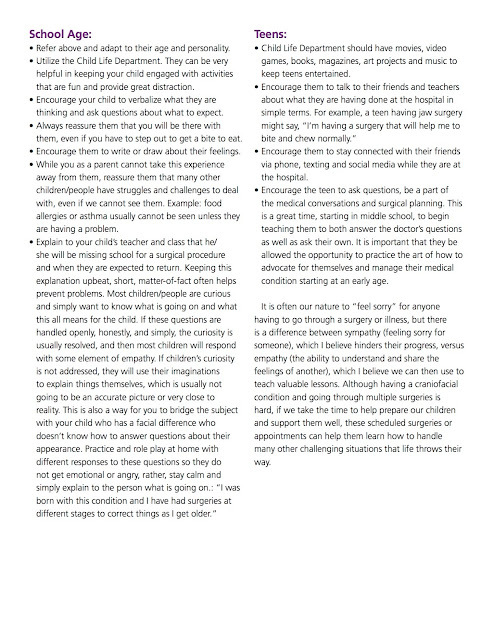 All of these overviews are written by expert physicians and clinicians, featuring top-quality information about well over a dozen topics. We are grateful to all those who contributed to these publications to help our families stay informed.